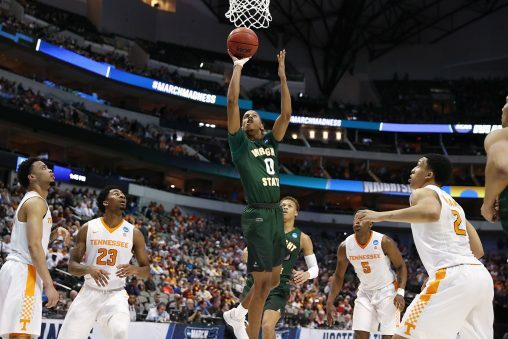 Freshman guard Jaylon Hall goes up for a layup during the Wright State men’s basketball team’s loss to Tennessee in the first round of the NCAA tournament. 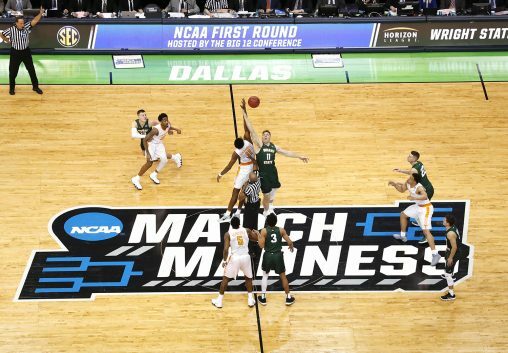 The Wright State men’s basketball team’s magical season came to an end in the first round of the NCAA tournament with a 73–47 loss to third-seeded Tennessee at the American Airlines Center in Dallas. The Raiders, the No. 14 seed in the south region, finished the season 25–10. The team’s 25 wins are the most for the program playing a Division I schedule. This was the third time the Raiders played in the NCAA tournament and its first since 2007. The Raiders earned an automatic bid to the tournament after decisive defeating Cleveland State in the Horizon League tournament on March 6. 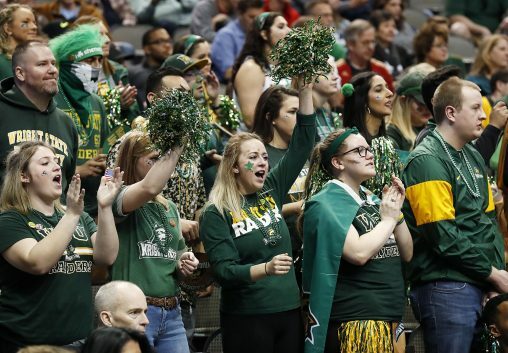 The Volunteers held Wright State to its lowest point total of the season and largest margin of defeat. Wright State took an early lead before the Volunteers jumped ahead at the 15:55 mark of the first half. The Raiders missed 14 of their first 17 shots and never recovered. Wright State was held to 31.7 percent from the field, including 4 of 21 from three-point range. Freshman center Loudon Love led Wright State with 12 points and nine rebounds. Freshman guard Everett Winchester had 11 points for the Raiders. Senior guard Grant Benzinger grabbed seven rebounds to go with five points. Fans traveled to cheer on the Raiders in Dallas.